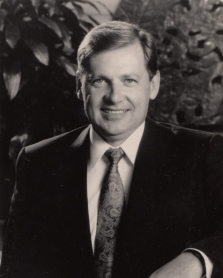 Matthias J. Kotowski died on March 30, 2019 at age 71 in Woodland, California from complications of dementia. Matt was born on August 11, 1947 to Johannes W. Kotowski and Hedwig Kotowski, and was the second of five brothers. Matt loved spending time with his family, doing woodworking projects in his garage, hiking in the redwoods and locally with the Tuesday Trekkers, singing in the San Jose Symphonic Choir, traveling in his camper to visit Zion, Arches and other National Parks; enjoying the Albuquerque Balloon Fiesta, attending the opera, laughing along to Click and Clack on Car Talk, attending LBL retiree luncheons, eating dark chocolate and enjoying a glass of wine. Matt volunteered with various nonprofit organizations over the years, and was a founding board member of the NorCal CarciNET Community, an organization for those with neuroendocrine and carcinoid tumors. Matt and his family emigrated from West Germany to the United States in 1964, settling in Long Island, New York. Matt completed his secondary schooling at Smithtown Central High School, graduating in 1966 with honors and a Regents’ scholarship. Matt graduated from the State University of New York at Stony Brook in 1970 with a Bachelor of Science in physics. He also became a United States citizen in 1970. Matt later obtained two graduate degrees at night while working full time, earning a Master of Science in Safety from New York University in 1977 and a J.D. from Golden Gate University School of Law in San Francisco in 1999. Matt spent his career as a safety engineer and was a member of the National Safety Council and the American Society of Safety Engineers for decades. The bulk of Matt’s career was spent working for Los Alamos National Laboratory (1975–1979), the Lawrence Livermore National Laboratory (1979–1989) and the Lawrence Berkeley Laboratory (1995–2007), specializing in industrial and laboratory safety. Matt is survived by his beloved wife Madeline Stuart, daughter Christy, son Nick (Christine), brothers Thomas (Wilfrida), Martin (Mary Ellen), Andy (Clarinda), Chris (Bridget), as well as many nieces and nephews in the U.S. and cousins in Germany. He was preceded in death by his parents Johannes and Hedwig Kotowski, and infant sister Barbara. Matt was a smart, dedicated, talented and kind person who will be greatly missed. His children and extended family would like to especially thank his wife Madeline for taking such good care of him through his struggle with dementia. Family and friends are invited to attend a celebration of Matt’s life on Saturday, May 4th at 1:00 PM at Greer Family Mortuary and Cremation Services in Alameda, CA. There's still time to send flowers to the Celebration of Life at the Greer Family Mortuary and Cremation Services at 1:00 PM on May 4, 2019.